Cristiano Ronaldo is a Portuguese professional footballer who plays for Portugal’s national team and Spanish club Real Madrid. The five-time Ballon d’Or award winner, Ronaldo is regarded as one of the greatest footballers of all-time. Ronaldo currently stands on the third position in all-time top international goalscorers list with 81 goals in 149 appearances for Portugal. The talismanic player led his nation to win first ever international trophy at the 2016 European Championship. Ronaldo’s current estimated net worth is $400 million, according to Celebrity Net Worth. Ronaldo penned a five-year contract with Real Madrid in November 2016 with a buyout clause of £900 million. He currently pockets £274,000 per week or £14.71million per annum. In November 2017, the Portuguese reportedly refused to extend his stay at Santiago Bernabéu but if recent reports are to believed Ronaldo is all set to sign a new deal with Los Blancos which would increase his salary to £26.5million a year. After introducing his maiden venture with CR7 underwear in October 2013, Ronaldo launched his own footwear, shirts, fragrance, branded gyms lines, jeans company and restaurant group under the CR7 trademark. In August 2016, Ronaldo launched 'CR7 Selfie app' to benefit the Save the Children initiatives. Ronaldo invested £54 million in launching a global hotel chain with Pestana Hotel Group under the brand Pestana CR7. 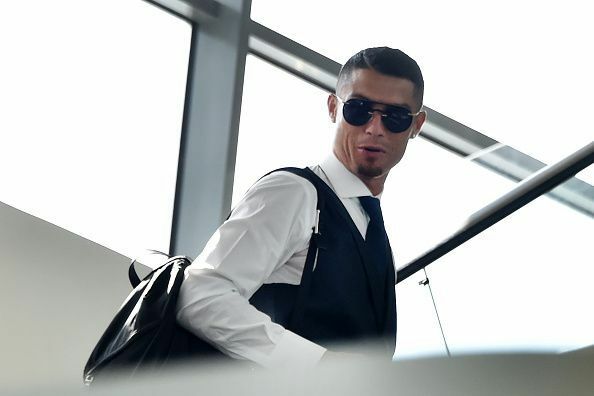 Ronaldo earns around £35 million per year through endorsing companies like Nike, Herbalife, TAG Heuer, American Tourister, Egyptian Steel, PanzerGlass, MEO, Toyota etc. In November 2016, the Madrid star became only the third player after Michael Jordan and LeBron James to pen a lifetime deal with Nike worth $1 billion. Although Ronaldo is often portrayed as an arrogant player, the superstar always lends his support for social causes. He is a goodwill ambassador of charity organisations - 'Save the Children', UNICEF, World Vision and regularly donates food, clothing, medical care for the war-ravaged families and children in Syria. In March 2014, Ronaldo paid the entire amount for a brain surgery of a ten-month-old boy. He also helped to raise awareness during the 2015 Nepal earthquake. Ronaldo donated his 2016 Champions League win bonus to charity and also sold his 2013 Ballon d’Or to raise £600,000 for Make-A-Wish Foundation in 2017. After his mother Dolores Aveiro survived breast cancer in 2007, Ronaldo regularly donates to breast cancer research. He also encourages blood donation by frequently donating blood himself. Ronaldo was named as the World’s Most Charitable Athlete in 2015 for his contribution. Cristiano Ronaldo- Player profile | The Story of a Living Legend! Fans reacted as Paulo Dybala scored a hat-trick.